There is no shortage of upscale dining experiences at Walt Disney World Resorts, but when it comes to personalized service, theatricality and sheer luxury — both in the room and on the plate — Victoria & Albert’s reigns supreme. This jewel box of a restaurant is nestled on the second floor of Disney’s Grand Floridian Resort and Spa, which evokes Florida’s seaside retreats during the Victorian era. The property itself boasts more than 800 rooms, but Victoria & Albert’s welcomes a mere 50 guests for just one seating each evening. If you have your heart set on dining here, you’ll need to plan ahead — seats can fill up nearly six months in advance for the chance to try the exquisite modern American cuisine in elegant surroundings. Dinner is an extravagant affair where you can choose between a seven- and a 10-course chef’s tasting menu, as well as an optional wine pairing selected by the sommelier. More than 700 varietals from 35 regions are available by the bottle, all overseen by maître d’hotel Israel Pérez, who also orchestrates the impeccable service. 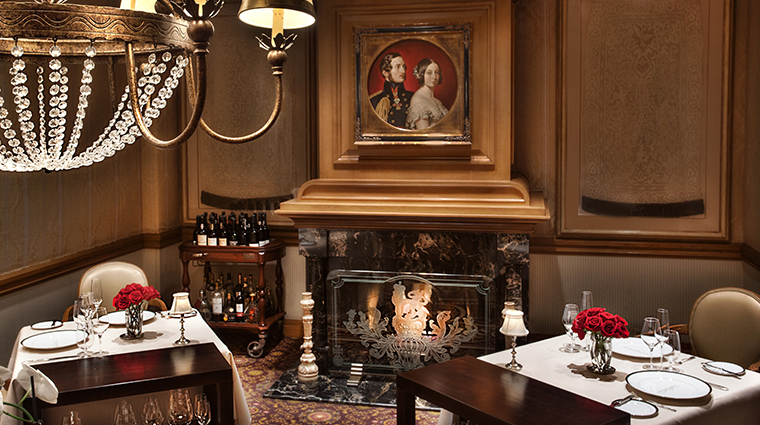 The hushed and intimate Queen Victoria’s Room accommodates just eight guests to partake in a 10-course meal featuring French trolley service with table-side preparation and wine pairings. 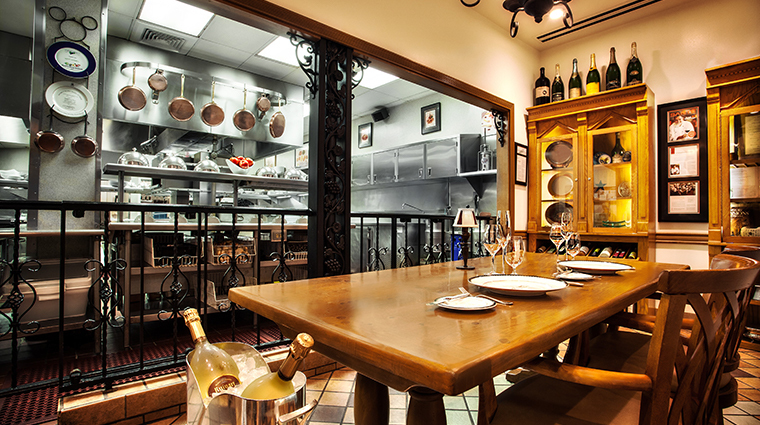 Enjoy an intimate behind-the-scenes look at the restaurant’s intricate culinary preparations when you book a seat at the chef’s table. This exclusive spot in the grand kitchen allows for an up-close view of the culinary team in action, a champagne toast with the chef and 10 courses expertly prepared just steps away. With two members of the waitstaff solely dedicated to each table, you can expect your servers to know you as well as they know every detail of the menu. Unforgettable extras include live music from a harpist, an upholstered footstool to hold each woman’s purse (as well as a pashmina to match her outfit, should she become chilly), different breads and butters between courses, a choice of treats from the resident chocolatier served in a customized wooden box and a personalized menu to take home. Plan to spend at least three hours dining — many guests stay for four to add a caviar course, step out between plates to enjoy the nightly fireworks or linger over a digestif. Come early to relax in the resort’s gracious lobby and enjoy live jazz and ragtime from the Grand Floridian Society Orchestra. Maître d’hotel Israel Pérez will email the evening’s menu up to a week in advance and will happily convey any dietary restrictions to the kitchen or facilitate other needs, from a special request for the harpist to a marriage proposal. 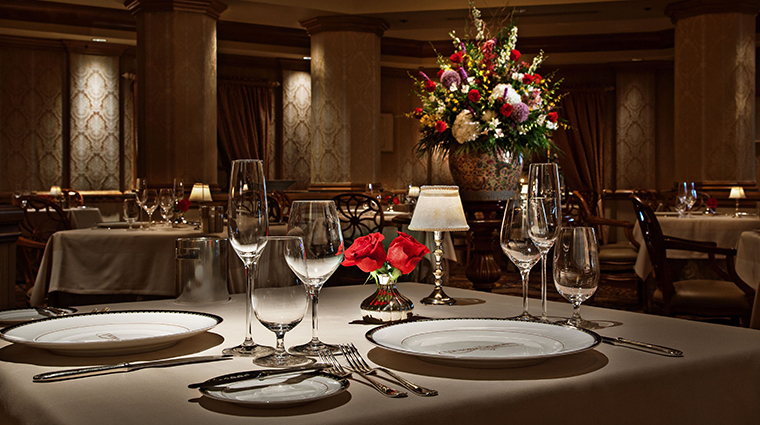 Dress to match to elegant atmosphere at this opulent Orlando restaurant. The dress code dictates jackets for men (though ties are optional), and ladies will feel most comfortable in a cocktail dress or slacks with a blouse. Guests must be 10 years of age or older to dine here. Aimée Rivera came to executive chef Scott Hunnel’s kitchen in 2002, and as chef de cuisine continues to search for the best local and global flavors. The modern menu features Florida ingredients such as corn, crayfish and oysters alongside white truffles from Italy, octopus and Iberico ham from Spain, Miyazaki beef from Japan and caviars from all over the world. Classic techniques anchor contemporary combinations, such as a Berkshire porchetta with sherry vinaigrette or a guest favorite of wild turbot with toasted capers and preserved lemon. All menus (except the vegetarian) at the modern American restaurant include an amuse-bouche; seafood, poultry and meat selections; a cheese trolley; an array of desserts by pastry chef Erich Herbitscheck; and coffee and tea service with friandises. From the warm lighting to the rich carpets, tapestry drapery and Frette table linens, the dining rooms are bathed in the richest gold and ivory hues. Dozens of crimson roses provide a subtle pop of color. The hand-painted rotunda in the main dining room is a work of art, but all eyes are on the elegantly dressed tables once service begins. Each course is whimsically and painstakingly plated on specially selected fine china by world-renowned makers such as Bernardaud or Wedgwood. Riedel crystal and Sambonet silver complement the table.